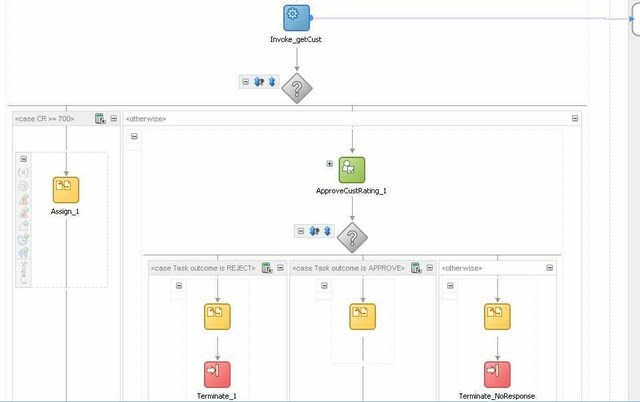 Complete Flow - Master Detail with Human Task Flow. Validate Customer Creait Rating , If Rating > 750 then Auto Approve and Progress the Order Header , if <750 then Manual Approval Required. Validate the Price List at Order Header. Call Order line Process to create Order lines. Validate the Items/Stock and Price List. If Order Line Total > 750 then Manual Approval Required. For Approval a Notification will send to user. User Can Approve the Notification for his worklist . For work-list notification we have 2 options , we can design a simple notification or Notification with UI ( ADF Page).In this demo I have shown the simple worklist notification as well worklist notification with UI design with Oracle ADF. For this POC we use default user – weblogic. If Credit Rating < 750 ,as shown below order header process call the Manual workflow task activity. If User rejected the order or not respond in 1 days system automatically terminate the process as shown below. 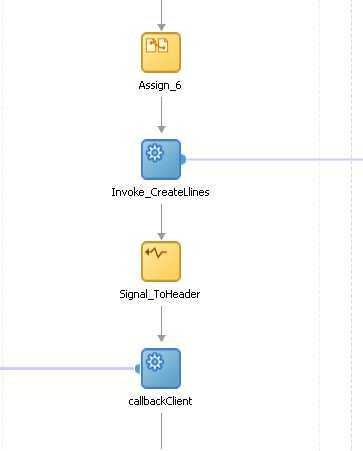 On Approval , BPEL process will create order header record and immediately execute "Signal" activity to call the Order Line flow. After calling the Line flow , Order header flow progress further and wait for response from line at "Receive Signal "Activity . 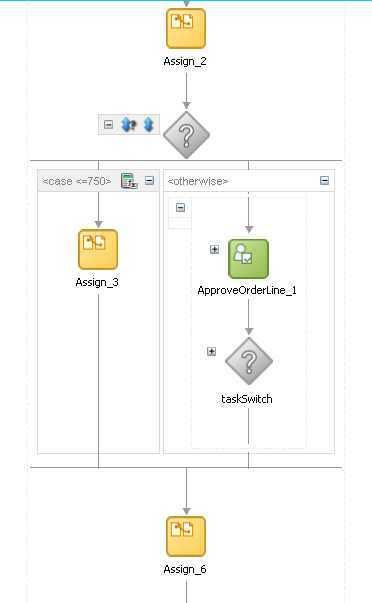 Order Line flow - it receive "Signal" from Order Header Flow and then validate Item/Stock/Price and if line total > 750 then call the Manual approval Activity to Approve the line. 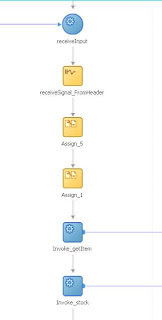 Once Line is done , Line flow send signal to Order Header flow and both the flows then completed. 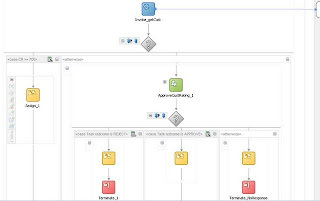 Enter Parameters to execute the BPEL Process. 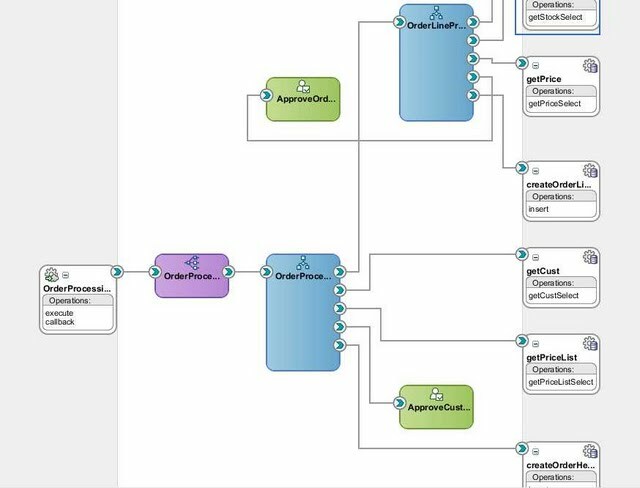 Since Customer 3 has Credit Rating is > 750 , order header will Auto approved ( Manual Approval not required here )and call the line flow, but BPEL process for Order line and header is not completes as Line Total is > 750 thus Manual approval required here . Since line is not yet approved , if we navigate to BPEL tree , we can see Header and Line process are still in Running Status. 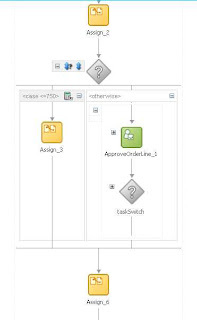 Once approver approve the Request , both Order Lines and Header flow are now CLOSED. This is really very good , thanks for sharing your knowledge with us.